Although sometimes perverted with added sugar or a chocolate coating and labeled "trial mix","health snack" or "cookies", Nuts, Seeds and Nut Butters are actually tremendously healthful foods if eaten in moderation in their natural state. Like many of the foods on the 'A-List Staple Clean Muscle Carbohydrates', these foods contain a nice balance of high-quality, bioavailable/fibrous carbohydrates, protein and healthy monounsaturated omega-3 fats. 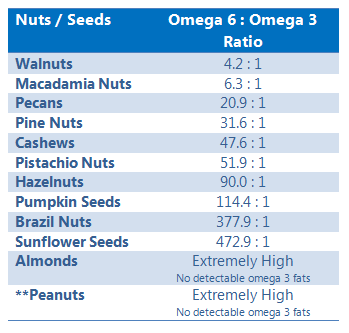 It's also worth mentioning that the omega-3 fatty acids in nuts and seeds is a DIFFERENT type of omega-3 than is in fish. It metabolizes differently and nuts (with the exception of Walnuts and Macadamia) have much higher level of omega-6 fatty acids, the ones that cause inflammation if consume in excess. This is why we only suggest you eat them in moderation. In general- omega-3 is the good one and omega-6 is the questionable one. Don't let this chart scare you too much unless you are eating 1500+ calories of nuts a day. Omega-6 is higher than just about EVERY food, even quality fish oil has a 2:1 ratio. The Harvard School of Public Health discusses how simply adding some nuts (and/or seeds) to your diet can lower your risk of heart attack by up to 50%. They are especially good if you are trying to gain weight since they are quite calorie-dense. At the same time, since they are quite filling- Nuts, Seeds and Nut Butters are good snack foods in low-moderation if you are trying to lose weight. Not surprisingly, smart athletes and bodybuilders have been feasting on these guys long before the rest of the planet found "they are good for you". Remember, as usual, the foods below largely refer to NATURAL, non-processed but not necessarily organic- Nuts, Seeds and Nut Butters. Not to go all natural foodie snob on you, but a lot of the commercial versions of these foods don't even qualify as "food". Almonds help with weight loss, if eaten in moderation. They are high in protein with virtually no carbs. Almonds contain high amounts of healthy monounsaturated fat, which help lower bad cholesterol and is beneficial to heart health, among a host of other vitamins and minerals. They also contain about 3 g of dietary fiber per ounce. Almond butter packs the same amount of nutrients. Just make sure you buy natural almond butter that doesn't contain added sugar. As of July 2013, I haven't drank regular dairy milk for almost 4 years. I can't believe it, I used to drink nearly a gallon a day. Dairy milk is full of sugar (maltodextrin). Since dropping it, my entire body composition has changed (way less fat) and I work out WAY LESS often than I used to. It's actually super simple to make almond milk at home. 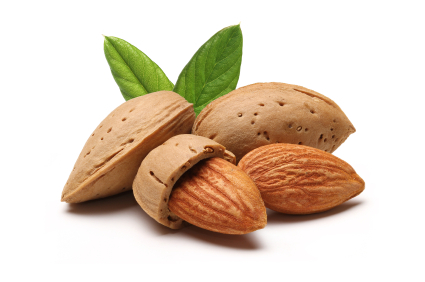 Just add two or three tablespoons of organic almonds to a cup of water and blend. Add Stevia extract if you want it a little sweeter. Almond Milk is further discussed in this post. 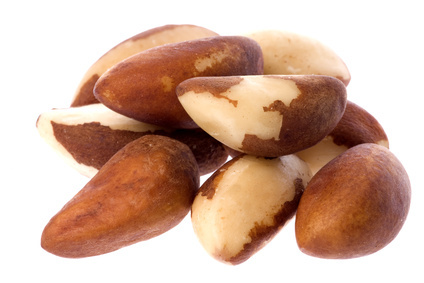 Brazil nuts are one of, if not- the best dietary sources of selenium, a trace mineral that is low in American diets. Selenium fights cancer, boosts immune system, protects cells and inhibits heart disease. It helps neutralize toxins, specifically from metals- like cadmium ingested from cigarette smoke and mercury. If you eat a lot of fish, especially tuna, Selenium can help keep the mercury levels inside your body to a minimum. Selenium is also extremely important for thyroid function. It helps convert T4 to T3- the active thyroid hormone. As well as fertility and sperm in males- infertile guys are generally low in selenium. Brazil nuts also contain protein and heart-healthy monounsaturated fat. 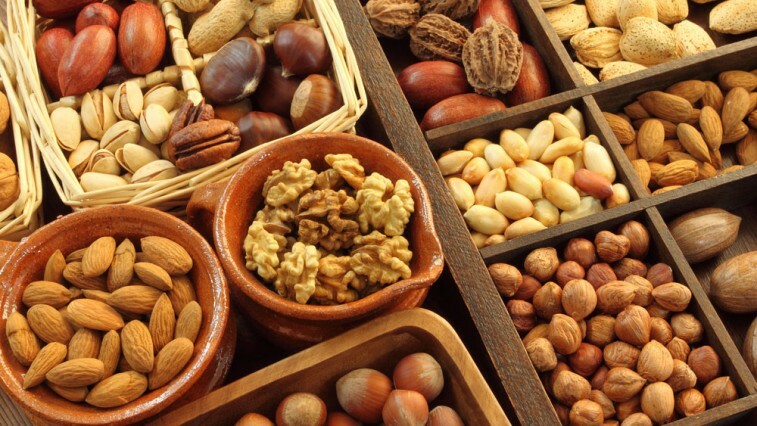 It is the highest calorie nut, per gram, that you can eat. If you are looking to gain weight- throw a whole bunch of Brazil Nuts into some whole milk every night before you go to bed. So long as you are hitting the gym- you'll pack on some quality mass. Macadamia nuts are not only a rich, delicious snack, they also contain the highest amount of monounsaturated fat of any nut. Monounsaturated fat, as we know, lowers bad cholesterol, prevents heart disease and is also associated with increased life span. 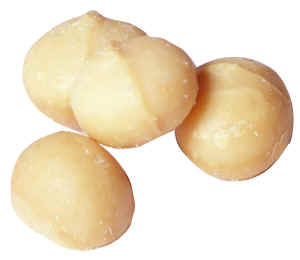 Macadamia nuts also contain phytosterols, like beta-sitosterol, which has been shown to be great for prostate health and inflammation. Macadamia Nut Oil has become popular in the United States from the "Hamptons Diet", a well-written low-carbohydrate diet by Dr. Fred Pescatore. The craze has recently extend to among sports dietitians that work with power and speed athletes. Professional bodybuilders, such as Dave Palumbo, who wrote Scotty's Cutting Diet have actually known about it for years. The healthful 1:1 omega ratio makes it even better for joints than fish oil and it might even encourage fat loss through a not yet well-understand mechanism. The combination of macadamia nut oil and fish is a winning pair because the monounsaturated fat from the macadamia oil helps absorption of omega-3 fatty acids from fish into the cell membrane, which is highly beneficial to general health. Organic, pure, unrefined 100% macadamia nut oil is delicious to cook with. It is the ONLY oil that I feel is better than extra virgin olive oil to cook with. This is kind that I gave my Beverly Hills' clients that signed up for cooking lessons from me. Macadamia nuts are higher calories, so if you're trying to lose weight just don't go crazy on them. White-chip Macadamia Cookies at Subway, unfortunately- don't count. Peanuts aren't actually nuts, they're in the legume family like beans. But they're obviously more commonly referred to as nuts. I call peanuts the "good nut" because it's inexpensive and it's pretty good. Not as healthful as Macadamia Nuts, Pecans or Walnuts and not as lean as Almonds- but a "good nut" overall that you can throw into your protein shake, put onto bread with sugar-free jelly or eat spoonfuls of, in umm... moderation. To be fair Peanuts are actually better than just "good". Peanuts are ranked as high as some fruits in antioxidants, like strawberries! Roasting peanuts actually increases their antioxidant content. Peanuts and peanut butter contains healthy monounsaturated fat, which helps prevent heart disease and lower triglyceride levels. A new high-oleic peanut is being developed at my alma-mater- the University of Florida and appears to be quite beneficial because it will have a healthful fat content almost equal with macadamia nuts, which is about 80 percent monounsaturated fat. 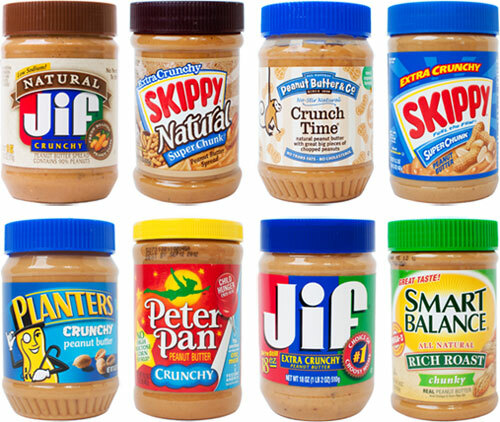 When you buy peanut butter stay away from the mass-produced commercial products that have added sugar (high-fructose corn syrup) and trans fat. Buy natural peanut butter that just has 'peanuts' in the ingredient label. 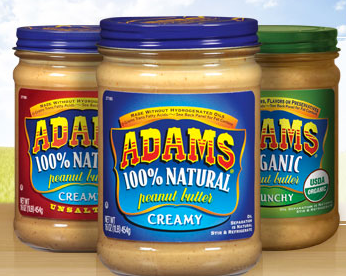 Adams 100% Natural peanut butter is a great choice for peanut butter in big retail grocery stores. Specialty health food grocery stores have more great natural options. 'Natural' is the word you are looking for. It means it has no added high-fructose corn syrup (aka death). Making peanut butter is surprisingly easy. The girls I live with make it every 10 days. Just put peanuts butter in a coffee grinder or food processor and within seconds of grinding you have 100% pure peanut butter (and organic if you buy organic peanuts)! You can also grind it at stores that have a grinder machine. Peanuts can go rancid quickly, so store them in the refrigerator. Store peanut butter in the fridge as well, especially if it's organic. Most people have not had them outside of 'Pecan Pie' though. Pecans are high in monounsaturated fat and super rich in nutrients. They help prevent heart disease, lower bad cholesterol and raise good cholesterol. They also help reduce triglycerides. Pecans are a great source of beta-sitosterol, a phytochemical that is super good for heart-health. They also rank high in antioxidant capacity. 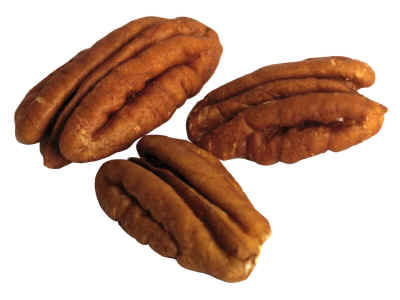 Eat pecans fresh (3 weeks from harvesting) because they can go bad fast, or freeze them. Use crushed pecans as an alternative breading for foods like chicken or fish. Just add crushed pecans to a raw egg and unsweetened almond milk mix. Then spread it on your main dish before cooking. Pecans are indigenous to the United States. About 80% of the worlds pecans are grown in the United States. So if you want to support our failing economy- it should be easy to get locally grown pecans. As you may know, I'm an expert on hair loss. From playing around with my diet for years (for various athletic pursuits), provided that you don't have any glaring nutritional deficiencies- I don't actually think that following a certain diet or eating certain foods with help prevent hair loss. If there is ONE exception it's these little guys- Organic/Raw Pumpkin Seeds. High-quality pumpkin seeds contain very bioavailable beta-sitosterol and cucurbitacins- natural compounds that can keep DHT off your hair follicles. Pumpkin seeds also support prostate health. In fact, many supplements for prostate health contain pumpkin seed extract. 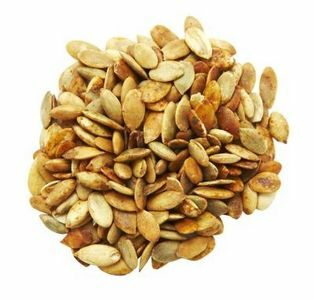 Pumpkin seeds provide, not a massive but, a fair amount of a phytosterol- beta-sitosterol, which helps treat benign prostate hyperplasia. This condition isn't seen as super serious in most cases, it mostly just makes men have to pee a lot. Beta-sitosterol has also been shown to help lower cholesterol. There's a lot of heresy that pumpkin seeds increase your sperm count, but I don't think it does so better than any other food that has a decent amount of zinc. If you don't have deficiency- it's not likely to help. All these specific compounds and benefits that apply to Raw Pumpkin Seeds, don't apply to Pumpkin, which offers differenent benefits. Roast a ton of pumpkin seeds to have on hand for a snack. Roasted pumpkin seeds actually contain more protein, fiber, minerals (and calories) than raw pumpkin seeds. Add healthy oils like extra-virgin olive oil, extra-virgin coconut oil or organic macadamia nut oil and spices like garlic or turmeric to your pumpkin seeds before roasting to add even more nutrients and healthful fats to your snack. You can also throw raw (or roasted) pumpkin seeds in a shake to add extra density and nutrients. Supposedly, you can make pancakes from them too. Walnuts contain the highest omega-3 fatty acid content of all nuts. Omega 3's are great for brain function. They also help fight plaque formation, decrease triglycerides and have been shown to elevate mood. Omega 3's help facilitate the transportation of "happy" neurotransmitters like serotonin and dopamine in and out of cells. This is great for cognitive function and memory as well. "Omega-3 Fatty Acids: An Essential Contribution"
They contain about half of the Daily Value of the trace mineral- manganese, which is a super important nutrient for body function. Manganese is crucial for brain function, reproduction, growth and metabolism of insulin, sugar and cholesterol. Make sure to get walnuts with white flesh, rather than yellow because yellow means they are rancid. 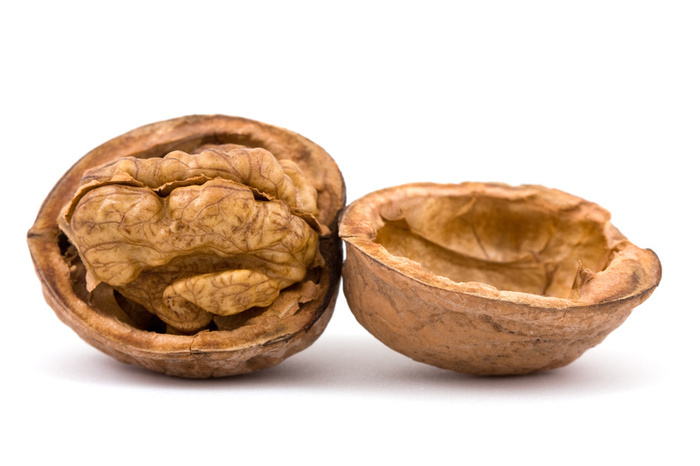 Shelled walnuts can last for three weeks if they are in an airtight container in the refrigerator. They will keep for double the time in the freezer. Walnuts in their shells will last up to a year if stored in a dry, cool area. You may want to have walnuts for your evening snack because they contain a fair amount of melatonin, which is a sleeping aid. Melatonin also protects cells from oxidative stress. ~ Please check out our other food lists! Where do you stand on flax seed? Good question- I think it's an okay substitute if you some reason you dont supplement fish oil and fiber. I recommend getting the flax seed and grinding them a $7 coffee grinder. it's a lot better and less expensive that way too. This is awesome, thanks. I love my natty PB, but have also found that Almond Butter and Sunbutter (sunflower seeds) are just about delicious and have a little less net carbs per serving. So I shouldn't buy trail mix? If not, do I just buy these nuts as natural as I can get em like a grocery store or something? trail mix is full of sugar - so its only an option if you are training super hard and heavy. I've never heard of adding brazil nuts to milk before, but that's a pretty genius idea. Do you think most of the calories from the nuts gets absorbed into the milk? Would making your own brazil nut milk, similar to almond milk, would be just as good for someone who wants to avoid cows milk? Hey thats an interesting question - that milk would have A LOT of calories, I would think? although its mainly water. I'm not entirely sure man. That's a good idea though! Love the new looks on GLL and getalife Chris. So easy to get around - and as you say, sexier! So I see that pumpkin seeds cotain natural chemicals that keep DHT off my hair follicles, and that alone has made me order a batch of pumpkin seeds from the source you listed.,I just took them out of the oven after baking them in some extra virgin olive oil (theyre kinda burnt) and they taste great! My only question is, how much pumpkin seeds should I be consuming for these DHT blocking effects? i appreciate that Greg - there's been a lot of criticism of the new sites. I'm not entirely sure on how much you are going to want to eat. Start with 1 serving - 3 times a day. Check out my article on RU58841 -- that stuff is awesome.